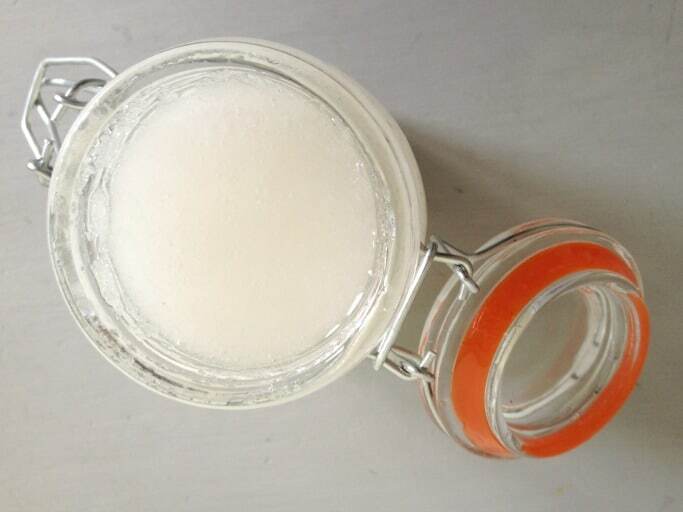 With the New Year now well and truly started and my bank balance looking predictably lousy I thought I would try my hand at making my own beauty products! There are some things that I believe are worth spending on *admires new fancy lipstick* but some things are so cheap and easy to make yourself that it’s really worth doing. Plus it’s more fun! 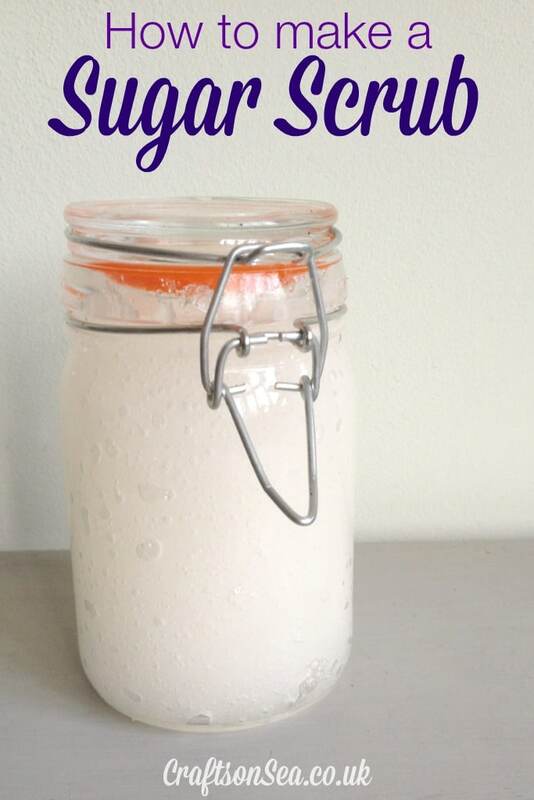 With that in mind today I’m sharing an easy tutorial on how to make a sugar scrub. Optional: Essential oils. I used lemongrass which gives this the kind of invigorating kick that I need in the morning! The most important thing you need to know here is the quantities – you need one part oil to two parts sugar. So for this sugar scrub I used one cup of baby oil and two cups of white sugar. Then to give your scrub a nice scent just add three or four drops of an essential oil, I used lemongrass which is great for helping you feel more alert (I have two kids, trust me I need that kind of thing), this makes it a great scrub to use in the shower in the morning. If you were looking to make a sugar scrub to use in the bath in the evening to help you wind down (makes mental note that I need to do that too) then something like lavender oil would be perfect. This is so simple and cheap to make that once you’ve tried it you’ll wonder why you ever bought one before! The baby oil makes your skin lovely and soft and if you use an essential oil too then your skin will smell fab. All you need is a cute jar to store it in. I’m thinking of making these with my kids as gifts for grandparents in future too!